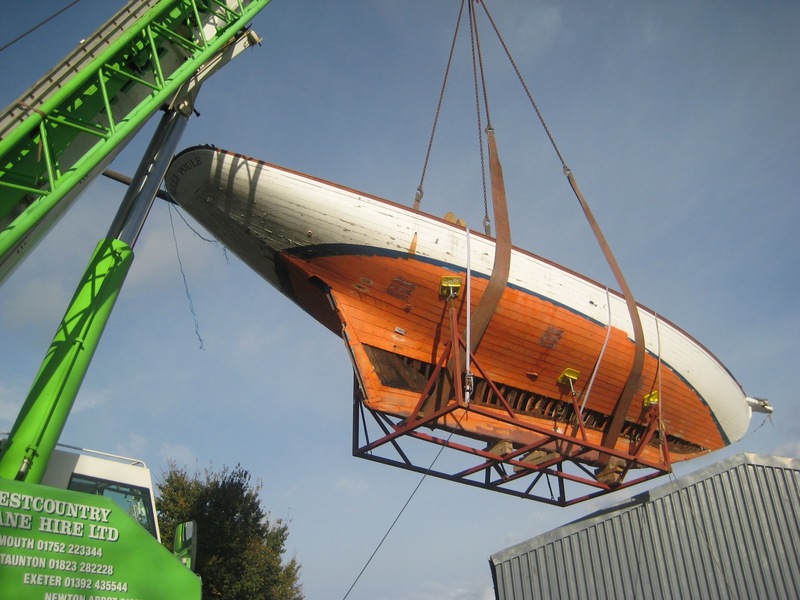 The 46ft Alfred Mylne-designed sailing yacht Belle Poule built shortly after the First World War has arrived at the Stirling and Son yard for restoration and repair. Will Stirling reports that she has all the classic features of a fine Mylne yacht; her plans have been identified among the original A Mylne & Co archive collection. Her current owner has had her shipped back from the USA, where she was saved by the Gannon and Benjamin boatyard, and stored at their premises at Martha’s Vineyard. She is now due for an extensive rebuild, which will include centreline, some framing and some planking. The restoration will commence in the spring of 2012. 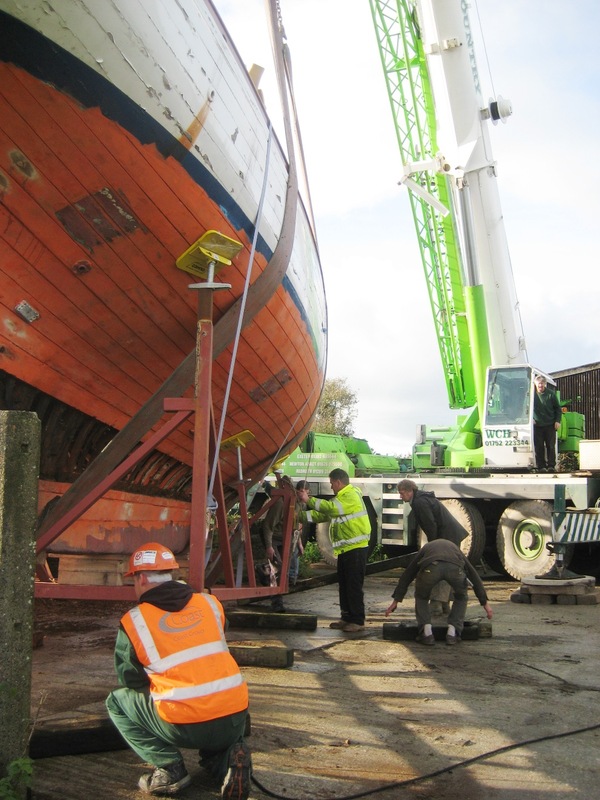 Stirling and Son carries out traditional yacht building and wooden boat repair and is based at Tavistock, Devon. Web: www.stirlingandson.co.uk, tel 01822 614259. For many more posts featuring Stirling & Son, click here.